Faez Nasr, an MSF watchman who lives in Sa’ada city, sits in the rubble of what was his parents’ house. His father was injured in the explosion and his mother died while driving him to hospital. Indiscriminate bombings and chronic shortages of supplies and staff have led to the closure of more than half of Yemen's health facilities. Recent outbreaks of diseases such as cholera and diphtheria and an upsurge in fighting have exacerbated the already dire humanitarian situation in Yemen. More than three million people have been displaced since the war started in 2015. With an estimated 20 million in need of humanitarian assistance, our activities in Yemen are among our most extensive worldwide. In 2018, we worked in 13 hospitals and health centres across the country and provided support to more than 20 health facilities across 12 governorates. A hospital worker salvages the remains of undamaged medication and equipment left in the emergency room after the 15 August Saudi-led coalition airstrike on MSF's Abs Rural Hospital in Yemen. Warring parties have destroyed much of the country's public infrastructure, including health facilities. Following the imposition of a blockade by the Saudi-led coalition (SLC) in 2015, import restrictions coupled with high inflation have crippled Yemenis’ access to healthcare and other essential services. Furthermore, many of the country’s 50,000 health workers have not been paid since August 2016 and have consequently left the public health system, forced to look for other sources of income. March 2018, Khamer, Yemen: MSF physiotherapist Elizabeth carries out physiotherapy on a young patient in surgery to reduce their pain. Since the beginning of the conflict in March 2015, MSF teams and facilities supported by MSF have treated more than 80,000 patients wounded by violence across 12 governorates. According to the Yemen Data Project, more than 16,000 air raids have been recorded in the last three years - roughly 15 a day. Ayman (right), 3 years, with his father Hamoud (left), 38 years old, and his mother Karima, 32 years old (centre), Saada governorate in Yemen, Haydan, March 2018. Hamoud borrowed 10,000 Yemeni Rials to pay for transportation to Haydan Hospital after his son fell from the first floor of their home. Even where medical facilities are operational, most people are no longer able to afford the transport costs to go to them. This means they are unable to seek timely care, and easily curable health conditions are turning deadly when left untreated. Women often give birth at home and seek care only when complications occur. Malnutrition among children also remains high. This is the second time within few weeks Reda brings her son Muhatasein to the MSF cholera treatment centre. Reda’s life is a daily fight to feed her six children, especially since her husband left them seven months ago. To come to the CTC, Reda had to wait to collect enough money. We opened 37 cholera treatment centres and oral rehydration points and admitted 101,475 patients in response to a cholera outbreak in 2017. As a result of the war it is even harder for people to access clean water, dispose of waste and get medical care. As the cholera epidemic subsided, we began to see cases of diphtheria, a disease eradicated from most countries thanks to systematic childhood vaccinations. The last case in Yemen had been recorded in 1992. Emergency room in Aden hospital. MSF teams performed 19,728 surgical interventions in Yemen during 2017. We saw an increase in the number of patients admitted to the emergency surgical hospital we run in Aden, not only from the frontlines, but also due to an upsurge in violence within the city. There are more than 4,400 patients with renal failure in Yemen who are struggling to get weekly dialysis sessions to stay alive. Since 2015, four of Yemen’s 32 kidney treatment centres have been forced to close. The 28 remaining centres are running out of essential supplies, so treatment is often interrupted. Between 2015 and 2017 we imported more than 800 tons of dialysis supplies and provided over 83,000 dialysis sessions for some 800 patients. More than 4,400 renal failure patients remain in urgent need of care. What are our teams seeing today? The Yemeni health system is in a state of near-collapse: the population has very limited access to health facilities, either because they are damaged or not fully functioning. The direct consequences are the recent resurgence of outbreaks of preventable diseases such as measles, a highly contagious viral disease and one of the leading causes of death among young children. Surgeon Bernard Leménager guides us around the MSF field hospital in Mocha set up during the battle for Hodeidah, a city a couple of hours' drive from Mocha. It’s the only functioning surgical facility between the frontline and the hospitals further south in Aden. 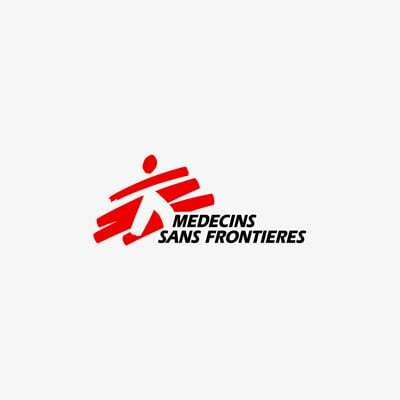 MSF teams treated over 100 war-wounded in the city's Al Salakhana Hospital in the space of just a few weeks in November 2018. Dr Chris Hook, from the MSF-supported Al Salakhana hospital in Hodeidah in November 2018: "The people that are left are mainly people who don’t have really anywhere else to go. It’s difficult for them to leave and we’ve seen patients who suffered injuries as a result of an attack as they tried to leave." Around one-third of our humanitarian and medical assistance is for populations caught in armed conflict. Although easy to prevent and treat, cholera affects up to 4 million people worldwide per year, resulting in up to 140,000 deaths. There are many reasons for flight, including war, persecution, conflict, natural disaster, destitution and repression. With health and well-being jeopardised, the lives of the most vulnerable can be at risk. More than 224 million children around the world last year suffered from malnutrition. It is the underlying contributing factor in nearly half of the deaths of children under five years of age. Médecins Sans Frontières has been providing surgical care for people in precarious contexts for decades. Attacks against medical facilities and health workers, whether deliberate or indiscriminate, are part of generalised violence and atrocities committed against civilians in armed conflict. They deprive populations of health services, often when they need them the most.